There's a bit of a ripple effect here in the car world following racist comments from Los Angeles Clippers owner Donald Sterling that surfaced this weekend. 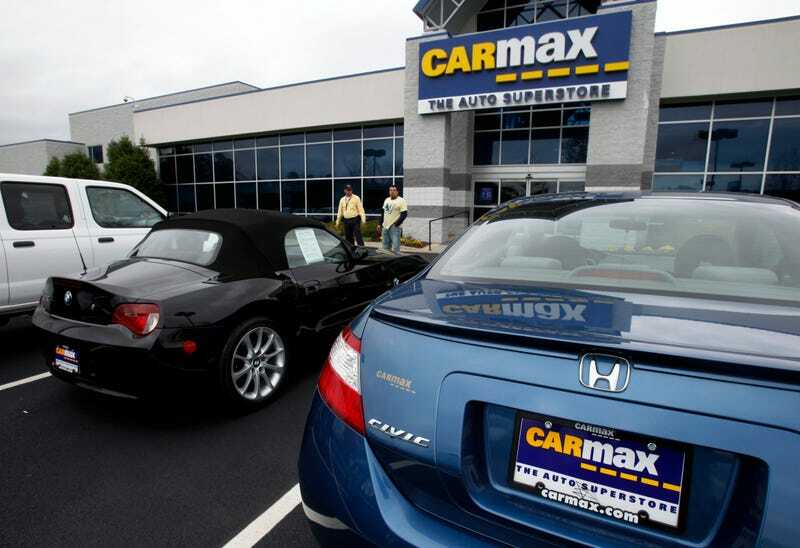 CarMax is ending its nine-year relationship with the team, the first company to do so. The NBA team owner can be heard on audio scolding his girlfriend for bringing black people to Clippers games and being seen with them in public. Aside from the glaring fact that most of Sterling's players are black, his girlfriend is half-black and the sheer impossibility of creating a black-free environment in Los Angeles in 2014, the recording also revealed Sterling's apparent feelings about minorities in general. Per Deadspin, which obtained the full recording, Sterling has said that "I support them and give them food, and clothes, and cars, and houses. Who gives it to them? Does someone else give it to them?" which creates an uncomfortable allusion to slavery. That hasn't gone well with the Clippers' sponsors. In an email to the Huffington Post, used-car mega-chain CarMax says that "the statements attributed to the Clippers' owner completely unacceptable" and that Sterling's views "directly conflict with CarMax's culture of respect for all individuals." Meanwhile, there were reports that insurance giant State Farm had also pulled its sponsorship from the team, but the company is reportedly "continuing to assess the situation." Still assessing what, we don't know, since it has already been confirmed several times over that it's indeed Sterling's voice on the tape. UPDATE, 1:45 p.m.: Kia is suspending its relationship with the Clippers, while Virgin America is outright ending it. UPDATE #2, 5:00 p.m.: Add Mercedes-Benz dealers to the list.